Last year, after a visit to Frieze Masters, a friend of mine asked for my advice. He had seen an Old Master work he liked, priced at €850,000, and sent me a photo of the painting and its provenance, as pasted on the wall of the gallery’s stand—what did I think? A search of the Artnet database revealed that the gallery had bought the work at auction the previous year for €475,000 (below the €600,000 high estimate)—facts that were not included in its smart-looking provenance. My friend, rather turned off by the experience, decided to put his hard-earned money into a property instead. A similar situation is now playing out in London’s High Court where Gary Klesch, a US investor, is suing Richard Green gallery over two works of art: a Jan Brueghel the Elder and a Salomon van Ruysdael that he bought at Tefaf Maastricht last year for €3m and €2m respectively. Klesch discovered afterwards that, a year earlier, the Brueghel had been bought at auction for €1.45m and the Ruysdael for $882,500. Klesch now claims he would not have bought the works based on information, including prices, that he says was a deliberate “omission”. The gallery strongly contests the claim, and says that both paintings are “of museum quality”. Of the Brueghel, it said in a statement: “We had huge interest in the painting and we are confident we would have sold it rapidly to another buyer.” And of the Ruysdael, it said the “many lesser examples” that have sold in the past five years “confirm the value of this exceptional painting”. Other commentators note that Klesch failed to do some pretty basic homework. My colleague Bendor Grosvenor, who is also an expert in the market, points out that a “less than three-second” Google search brings up the Brueghel auction price. He has a point. But not everything can be found on Google; not everyone knows about the subscription-only Artnet database, and private sales are, well, private. So the situation raises some interesting questions. For example, why should previous prices—made publicly or privately—not be a part of a work’s provenance? I would argue that their variability is worth discussion and that they are among a combination of factors that help would-be buyers determine value in a very intangible field. Buying art requires a leap of faith and, with prices so steep, that leap has become increasingly risky. 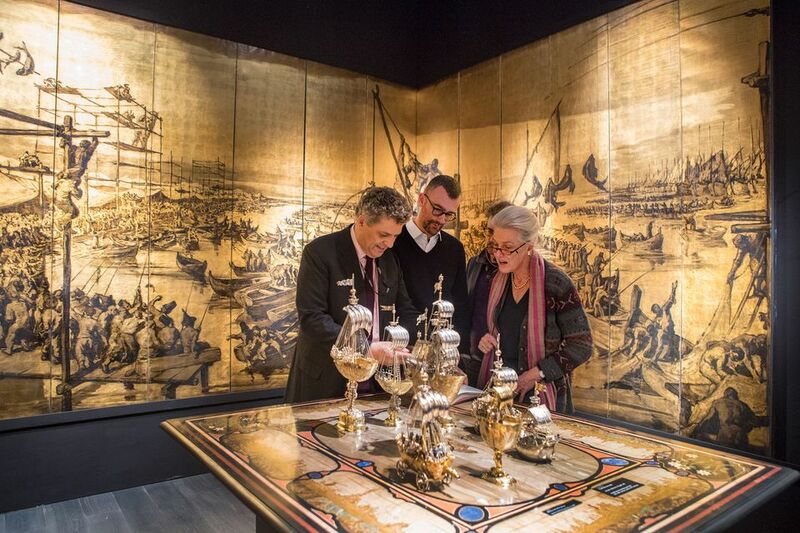 One way that would-be buyers find reassurance is to shop at market-validated galleries and through vetted art fairs such as Tefaf and Frieze Masters. Reaching out to new buyers is the holy grail right now and the shrinking Old Masters market in particular could do with some of these. Rightly or wrongly, if buyers feel disenfranchised, then it is not doing our market any favours.